This entry was posted in common sense and tagged borders, common sense, degradation, environmental, narcotics, nation, organized crime, overpopulation, quotes, refugees, terrorism, truth, wisdom, wise sayings, worldwide on February 21, 2017 by uldissprogis. This entry was posted in common sense and tagged common sense, environmental degradation, human nature, narcotics, organized crime, overpopulation, quotes, refugees, relationships, terrorism, truth, wisdom, wise sayings, worldwide on October 6, 2016 by uldissprogis. When humans flee a territory or country because of war, political or religious persecution, a natural disaster such as drought, or economic hardship then they are called refugees. 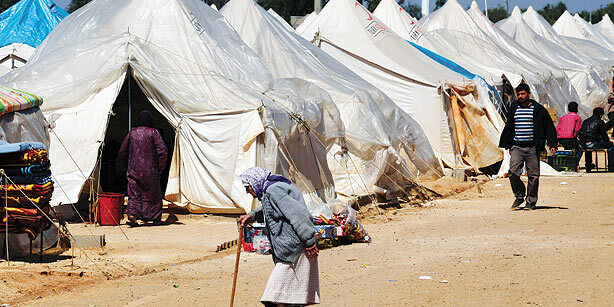 Refugee camps are frequently set up to deal with the situation temporarily and some eventually go back when the war or natural disaster is over. Many choose to remain where they fled to or even immigrate further to countries which will accept them legally. There is legal immigration and illegal immigration and the latter is done by very desperate humans who risk it all to try and find a safe haven from their economic misery or dire predicament. My parents were war refugees afraid of communist persecution or death during World War II and I empathize with many other modern day refugees trying to escape from perilous conditions in their territory or country. This entry was posted in common sense, education, globalism, justice, science, society and tagged common sense, education, famine, globalism, justice, language, refugees, science, society, the truth about refugees, war, words on March 28, 2015 by uldissprogis.